What I shared in Part One and Part Two of this series contributes to why I felt driven to stronger action with School of the Free Mind, my online school. The children’s book industry feels like a state of emergency for our communities and a powerful place to invest our efforts to make our people stronger. For me personally, storytelling and art have been invaluable tools to negotiate not only my own silences but renegotiate the kinds of silences our communities live with. The school is where I share everything I know. I want to seed these courses OUT as far as I can. I want to hear our voices RISE! I want our children to hear! Beginning in 2017 get the whole school for the whole year for a low fee. Class fees that would have added up to over $1200.00 are now 120.00 (w/ limited scholarships also available). The school includes all 6 of my courses allowing you to focus your learning on attaining skills, personal healing or both. The school is independent study to support personal and creative responsibility and accommodate your life! 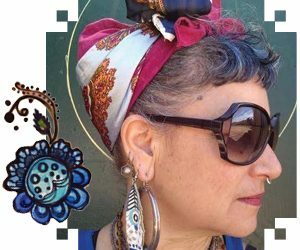 Materials and teaching prioritize PoC, Indigenous and Queer experiences, social justice and own voice through children’s book reviews, community spotlights, themes and conversations about healing. Zetta Elliott, Debbie Reese, Innosanto Nagara, Cory Silverberg, Francisco Alarcon, Kwame Alexander, R. Gregory Christie, Janine Macbeth, S. Bear Bergman, Gayle Pitman and many more! School of the Free Mind’s learning environment takes into account the whole person. The INSIDE: heart, body, mind, spirit and unknown. The OUTSIDE: family, community, culture, ancestry, society, world, history and the unknown. This helps create a safe space for our full selves where we are free to BE, SEE, LEARN and SPEAK. Each of our personal experiences is built upon the generations that came before us. Through teaching, I’ve gotten an intimate view of folks who thought they had no story come to understand that they are full of stories. This is such a powerful transition of voice, I call it ancestral healing. It can result in a flood of creative power. 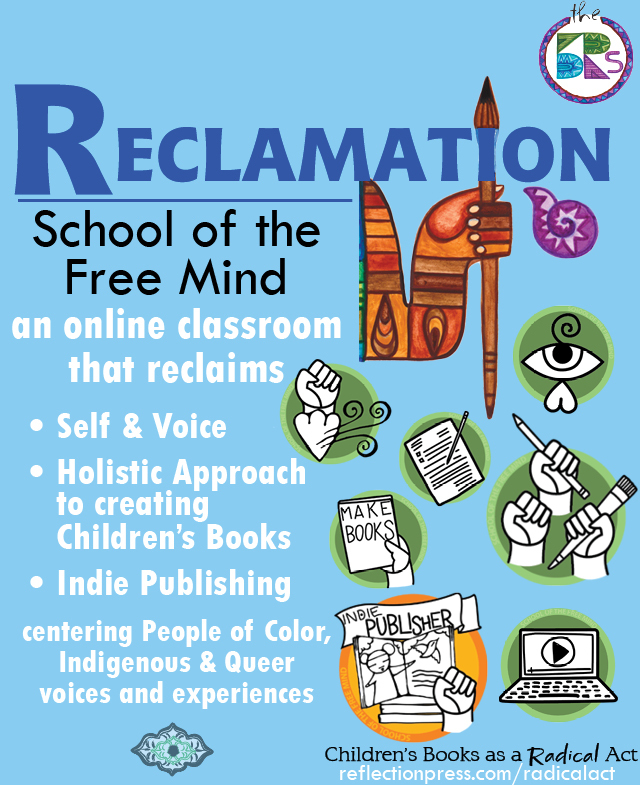 School of the Free Mind provides a private online learning environment at an affordable fee with materials that respect and reflect PoC, Indigenous and Queer People. The teaching style promotes the presence of the whole person and experience, as well as the potential for healing and greater power through your own creativity. This creates a shift in power through reclaiming what is and always has been yours, your #ownvoice. I am compelled not only as a parent but from working with thousands of kids and teachers across the country. Together we must invest in our communities’ creativity to become stronger as PoC, Indigenous and Queer people in our society. Moving the focus away from a literacy base and toward a storytelling base is a step toward insuring that our #ownvoices and creative power will rise and continue. I believe this is an important next step. It doesn’t just begin with our kids. It begins with each of us and our #ownvoices. It begins now. We need your voice. Our children need your voice. Join the powerful tradition of storytelling to improve our world and the lives of our children. Let your creative power rise! Make children’s books a radical act! Read more about School of the Free Mind or to join our classroom.